Reference information is included for the types of steel, aluminum and protective atmospheres commonly used in heat treating along with charts, tables and simple calculations on a variety of atmosphere and vacuum heat treatment processes. 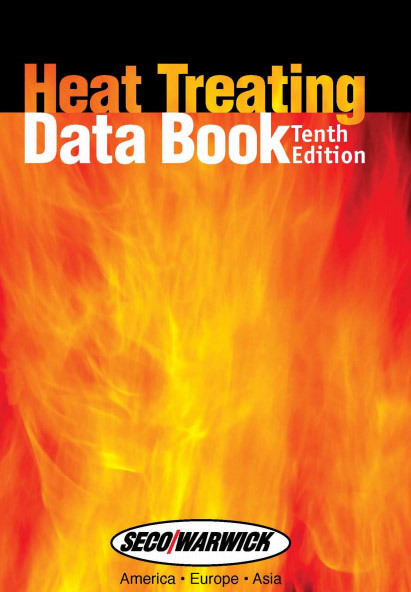 This book has been published in both print and electronic versions to provide students, heat treat furnace operators, plant engineers, metallurgists and design engineers with a quick reference to industry data that our customers – commercial and captive heat treaters – have found to be useful. If it saves you time, we feel it will have accomplished its purpose. More data on vacuum furnace process technology that reduces cycle time and consumables.